Wholesome Dorming: My knew favorite thing... Sprouting! My mom just got me a sprouting kit as a back to school gift and I am telling you, this should be on every healthy foodist's wish list. Basically it's a stack of trays that drain slowly to provide the right amount of water for ideal sprouting conditions. 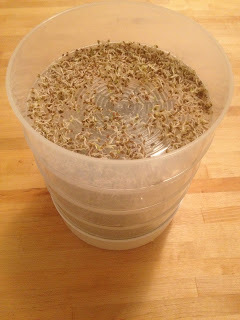 All you have to do is fill the trays with seeds, water them twice a day, and in 3 days you have sprouts! It's awesome! Research shows that sprouts are a veritable fountain of youth. Sprouts abound with antioxidants, they are full of protein, chlorophyll, vitamins, minerals and amino acids. Broccoli sprouts have been found to contain 50 times as much of the antioxidant sulfurophane as mature broccoli... Sprouts contain enzymes, giving your body a much needed rest as they digest themselves - invigorating you while requiring no help from your body to process them. New research indicates that peanut sprouts reduce harmful cholesterol and that sunflower, buckwheat and grain sprouts dramatically improve the quality of life of diabetics. The list goes on and on. 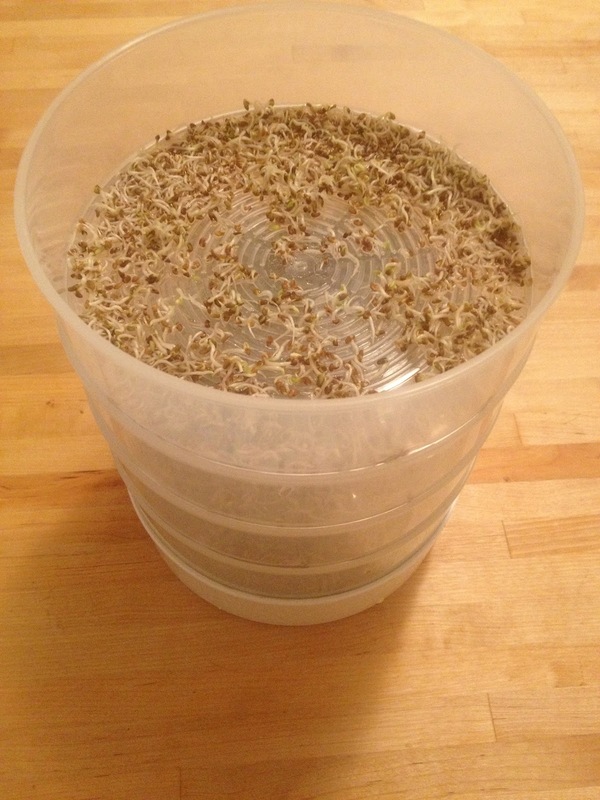 Google it if you want to read more about all of the nutritional value of sprouted seeds. 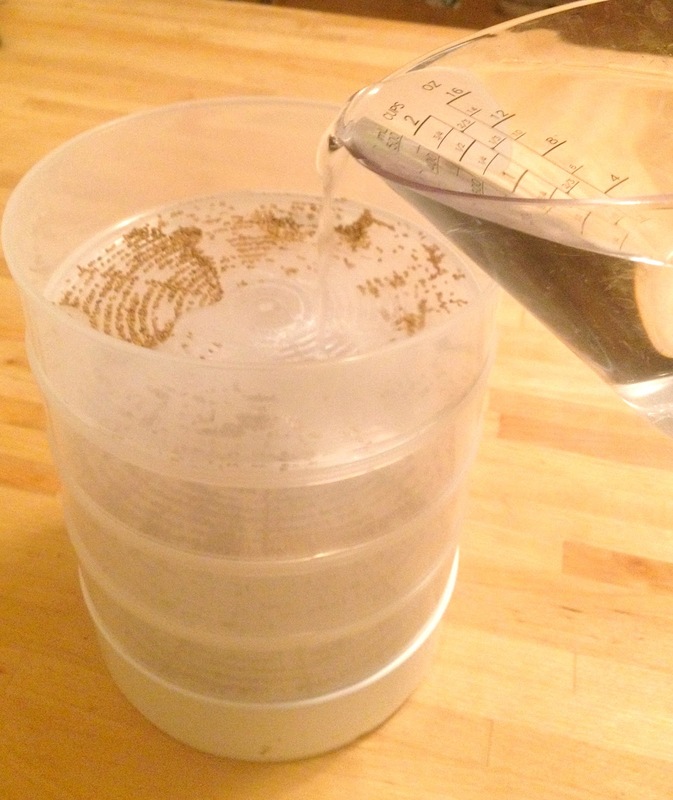 There are also many different types of seeds to sprout and each offers different flavor. I can't wait to try onion sprouts! To be able to add a light onion flavor and tons of nutrients at the same time would be awesome! http://sproutpeople.org/ has an awesome variety of sprouts to choose from!